For those looking to play on the safest fantasy fantasy sports sites, there are several reliable options no mater your experience level. Amidst the ongoing legal controversy, the daily fantasy sports industry continues to grow within the United States and internationally. Each year, millions of new contestants around the world join the online community of DFS, which now is ahead of traditional sports betting in the United States. Although there are a handful of states which are either banning or investigating the online betting option, most states consider daily fantasy sports betting as a game of skill and, therefore, legal. While shopping around for the best site that fits you, it is essential to find one you can trust both financially and legally. Let's take a look at the safest fantasy sports sites of 2017. Within the US, each state has its own set of laws in regards to gambling. However, all states abide by federal law in the legality issues surrounding online betting on offshore sites. All United States citizens should know that betting on foreign sites is not only illegal but unsafe. Although some European sites are legitimate, many offshore sites operate in countries with very little gambling regulation, which results in financial insecurity and possible unfair play. On the other hand, daily fantasy sports sites that operate in the US have full authorization through a governmental commission in each state, which takes responsibility to ensure fair competition and distribution of winnings. For years, this fantasy sports powerhouse has led the nation in most DFS competitions and tournaments. FanDuel holds the largest community of fantasy sports fans in the world, which gives it some hefty advantages to the other sites. Firstly, with so many players in its DFS pool, FanDuel has the highest number of competitions to choose from at any level of competition. Due to a massive influx of beginning players, FanDuel offers several novice leagues, tournaments, and head-to-head options to get your DFS season started. Secondly, the vast number of fans under one roof ensure more guaranteed prize pool tournaments. GPP tourneys are one of the best ways for daily fantasy players to take in a larger piece of the pie due to guaranteed prize money being consistently split between fewer contestants. The last great advantage FanDuel holds is its reputation. You can trust depositing your money when you’re ready to play, and you can sleep at night knowing FanDuel will ensure a hasty withdrawal whenever you choose to take home your winnings. DraftKings stands as the leading competitor of FanDuel and is certainly not far behind as the fastest growing DFS site in the industry. 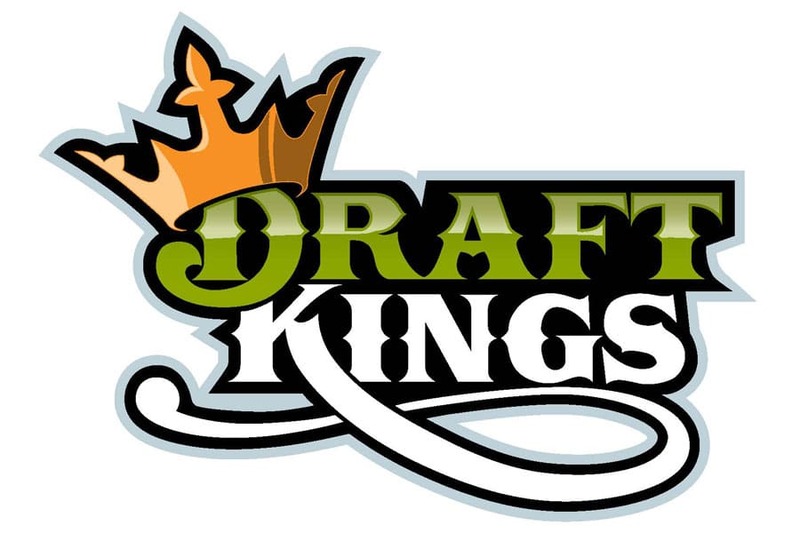 Although it doesn’t bring as many competitors to the table, DraftKings has become the top sponsor with a multitude of MLB and NFL clubs, which will only lead to many more years of growth and success. DraftKings has similar advantages to FanDuel but differs in a few game types. DraftKings is known for its expanded fantasy budget which allows competitors to draft an additional or flex position for most sports. The second feature that DraftKings offer is additional scoring rules such as the points per reception (PPR) in NFL games. The advantage of a flex and scoring differences change the draft strategy but leads to a larger, and arguably more exciting fantasy point total than seen on FanDuel. Amaya Gaming has brought up StarsDraft from the bottom to one of the top daily fantasy sports within the industry. The creators of PokerStars, which was a popular poker site outlawed in 2006 by the Unlawful Internet Gambling Enforcement Act, have risen from the ashes to pair up with several major league sports through broadcast and team sponsors. The game changing feature offered through StarsDraft is its Victron function. Due to StarsDraft taking over Victiv gaming, a lot of new and innovative software designed by Victiv’s team will be making its way over to StarsDraft. The Victron function allows participants to fine tune certain statistics to help pick players. Choose which stats matter most while customizing your Victron roster. Although there are several other sites within the US to try out your fantasy sports skills, the handful listed above lead the industry and are sites you can truly trust. All five operate legally and professionally within US jurisdiction and are consistently excellent in customer service. Not only are you choosing dependability with these sites, but you are getting quality, user-friendly sports action with a multitude of game options to fit your liking. Fantasy sports betting is a game of skill, and it takes research before betting any real cash. Remember your limits and to enjoy the experience. There you have it for the safest fantasy sports sites of 2016. When playing, above all have fun and good luck!